- Please pray for BLF USA's Rory Clark as he travels to Dallas for the Evangelical Missiological Society gathering later this week (October 12-14). 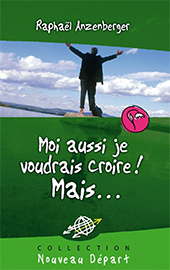 French-speaking missiologists will be attending again this year, including a BLF Éditions author, Raphaël Anzenberger, who’ll be presenting a paper. Please pray for good discussions with these and other participants. "In Chad, we have a small congregation of believers in our town which lacks access to French Christian literature. What materials we are able to obtain, often depend on missionaries to make Bibles and other Christian literature available to them. The pastor and fellow leaders who share the preaching and teaching responsibilities, typically have only a few books in their "libraries". But these few books are treasured and are used exhaustively. The Leadership Pack provided by BLF will be shared with these teachers so they and the entire congregation can grow deeper in the grace and knowledge of our Savior. Thank you for these materials, we are so greatful." 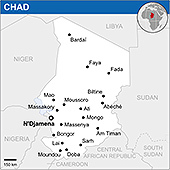 Please pray for the believers in Chad and for the effectiveness of the Leadership Packs in their growth in Christ. We at BLF USA, thank each of you who pray and help make these materials possible.